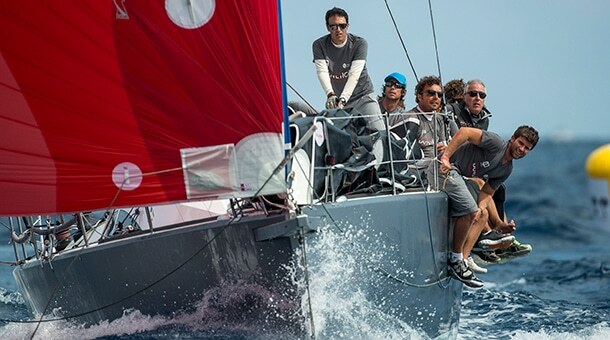 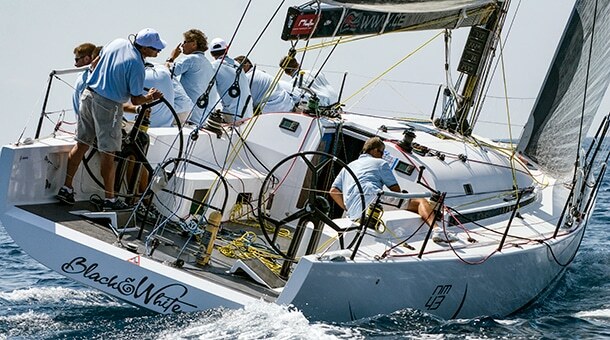 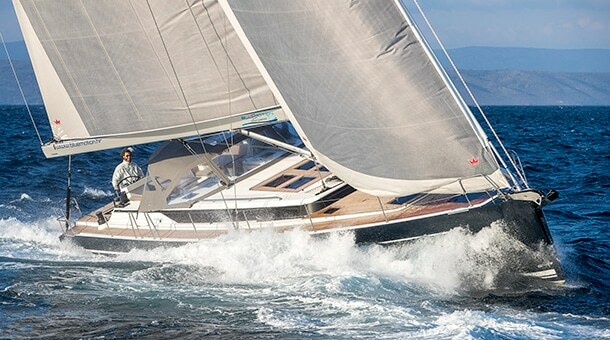 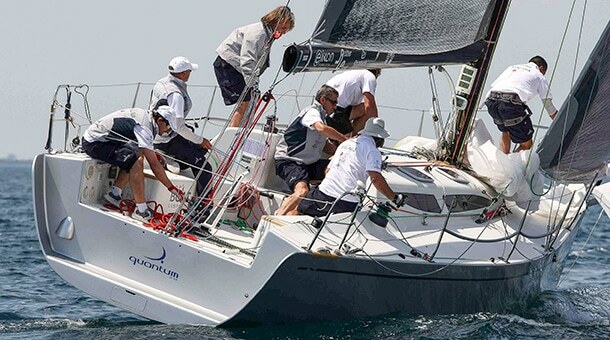 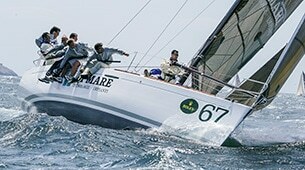 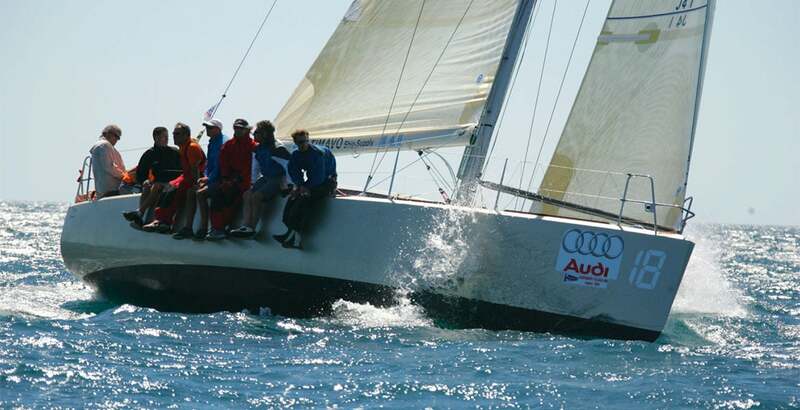 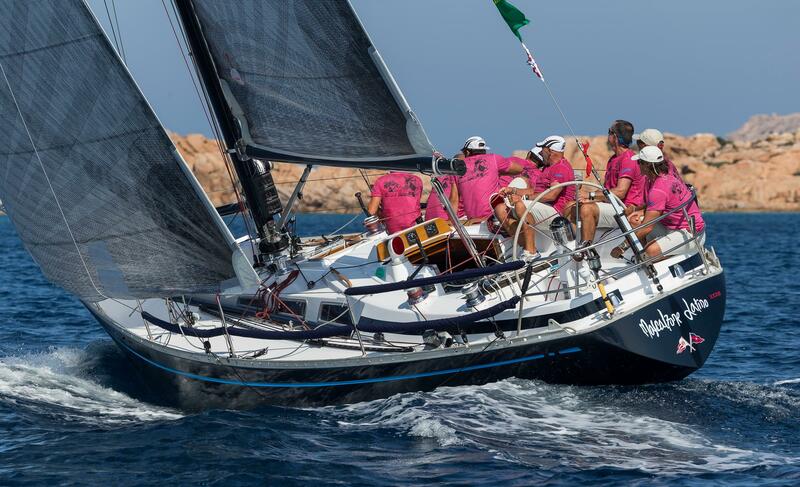 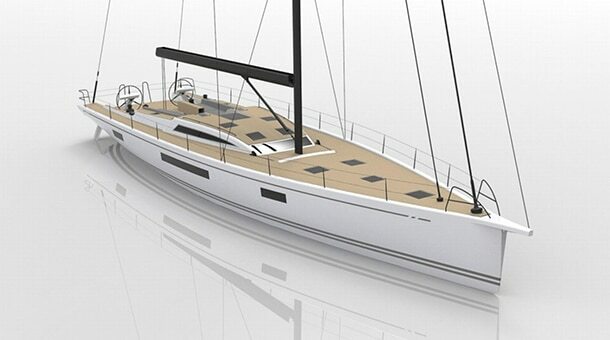 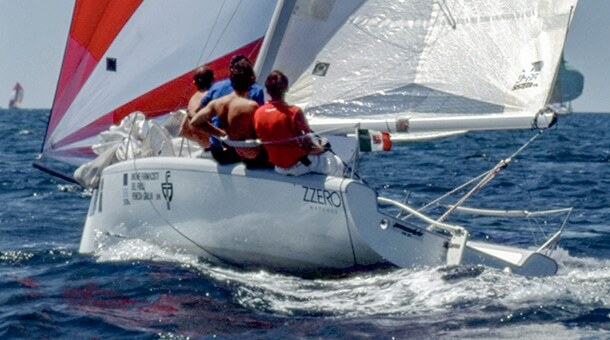 After the success of M37, together with Massimo Breggion, CEO of 2M Marine, we started the studies for a new boat, with the same philosophy of the smaller sister: a fast and competitive racer cruiser, with stylish exteriors and interiors, built to high standards, capable to be successful in the race fields as well as to allow comfortable medium range cruises. 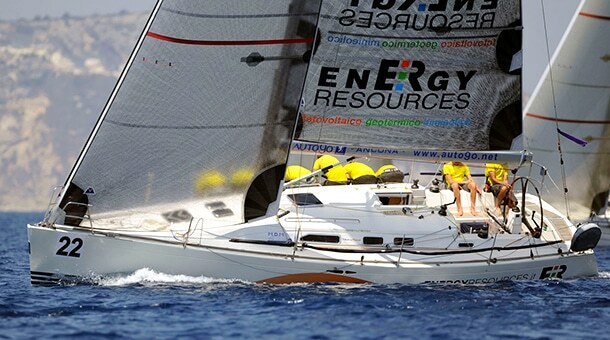 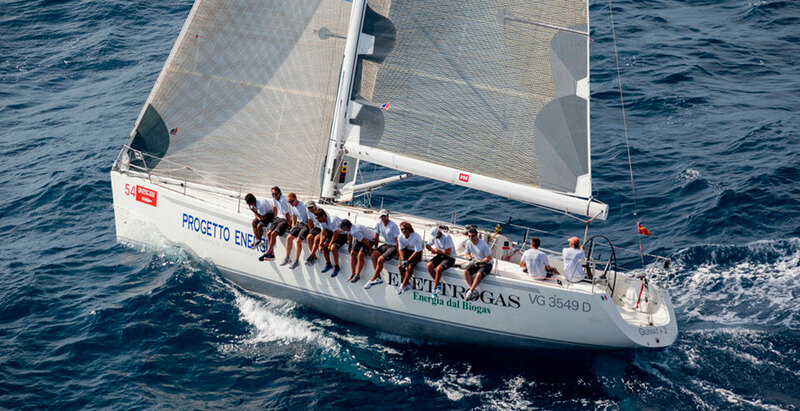 Different sets of hull lines were developed and optimized for the Mediterranean conditions using sophisticated CFD and mathematical simulations with Mr. Matteo Ledri / Esteco, and compared with the most competitive boats of that time. 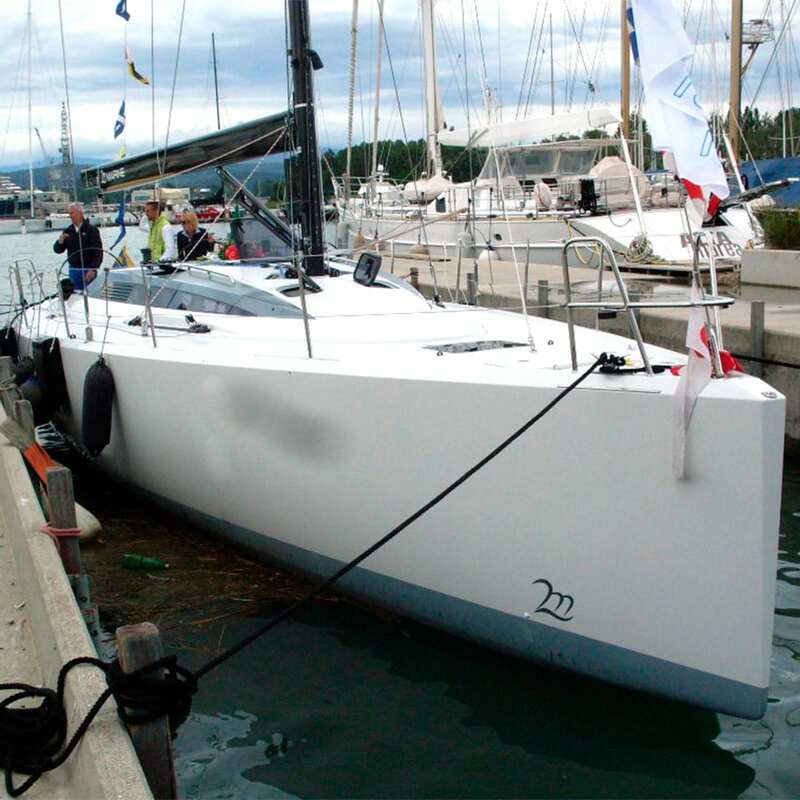 The concept was to have a fast boat, with a bit less compromise with rating than M37, considering that the middle-size fleet was built up from a wider spectrum of boats in terms of dimensions and performances than the lower class. 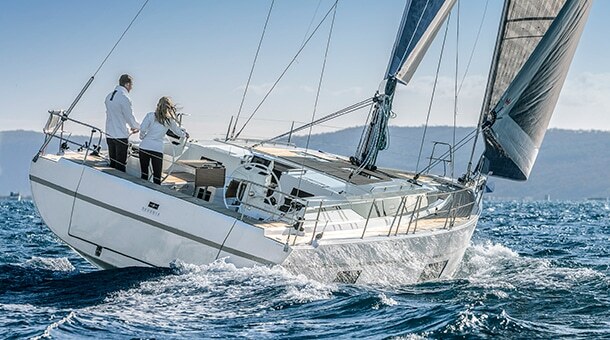 Below the waterline the hull was rounder and less extreme than the smaller boat, especially at stern with lower profile and less “rocker” to promote surfing abilities downwind. 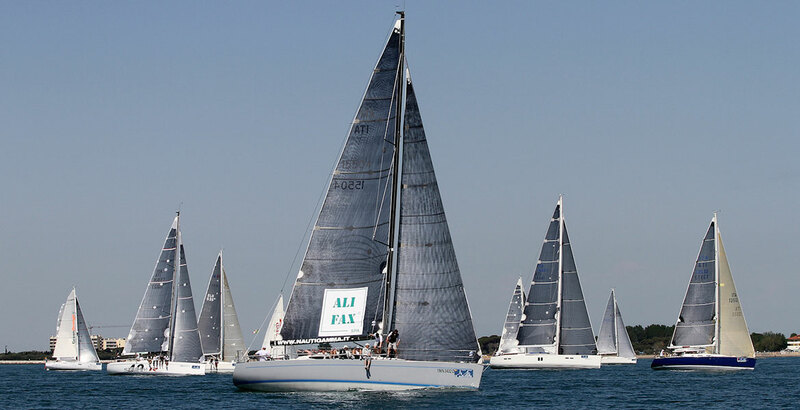 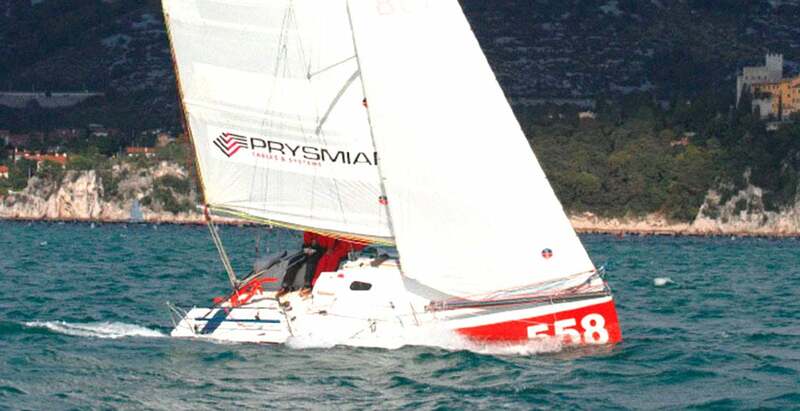 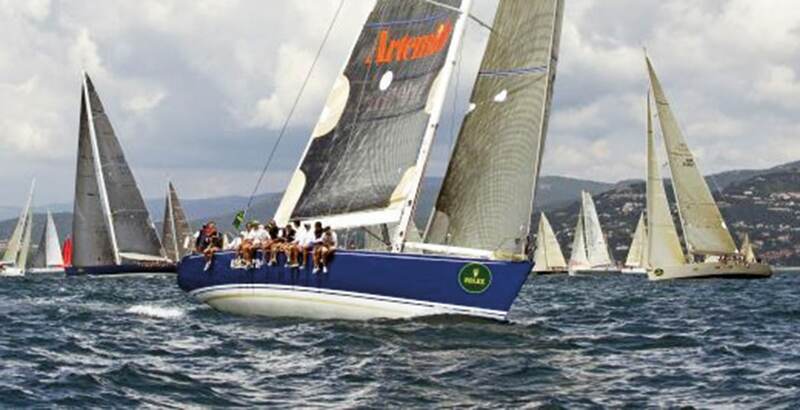 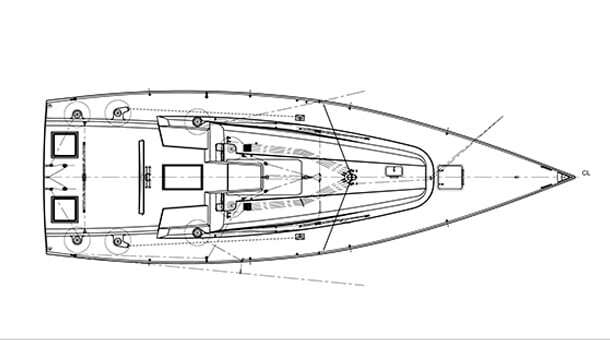 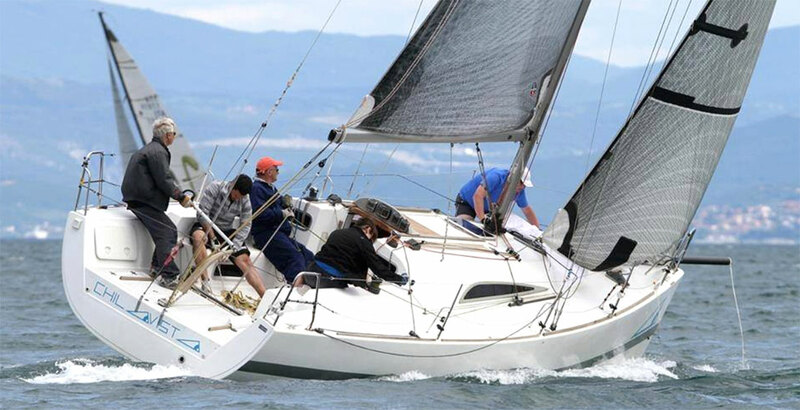 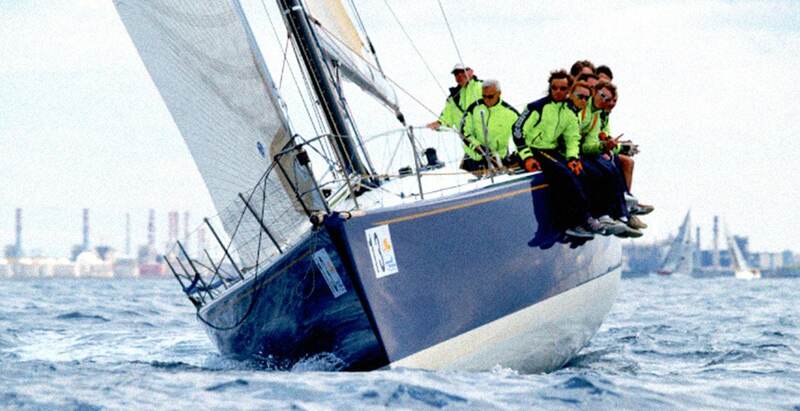 But, as M37, the bow profile had the typical raised bow of our ORC/IRC designs, and the midship section still showed the characteristic “trapezoidal” shape that proved to be so successful. 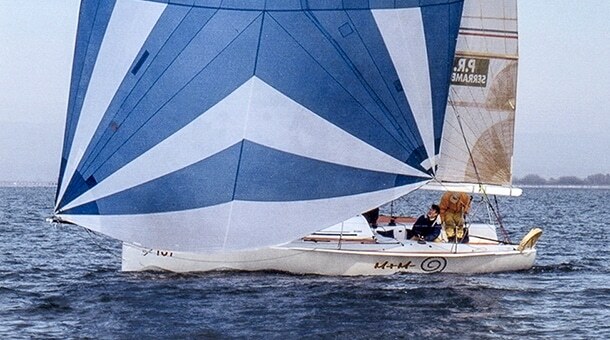 Sailplan was the mandatory fractional Bermudian rig, with swept back spreaders; but in this case was also paid attention to increase the sail area/ displacement ratio for optimal mediumlight conditions and with the possibility to hoist big masthead kites. 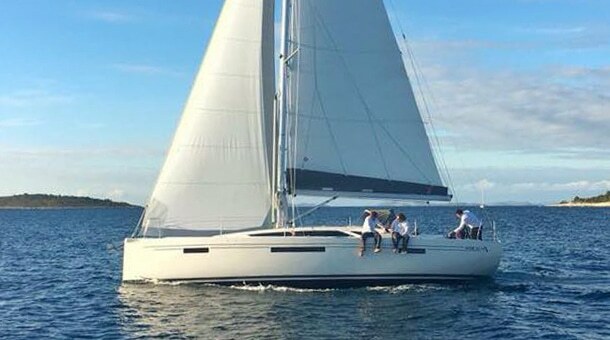 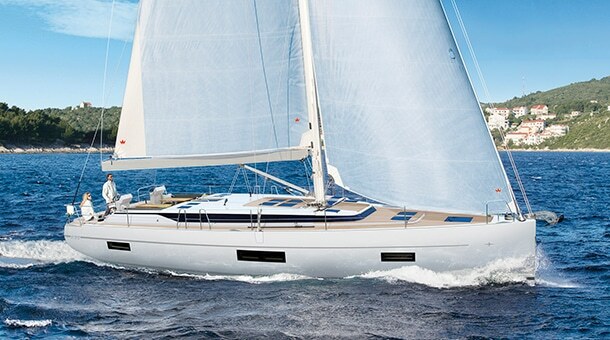 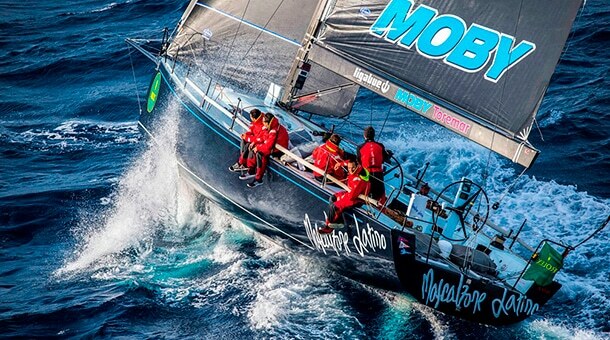 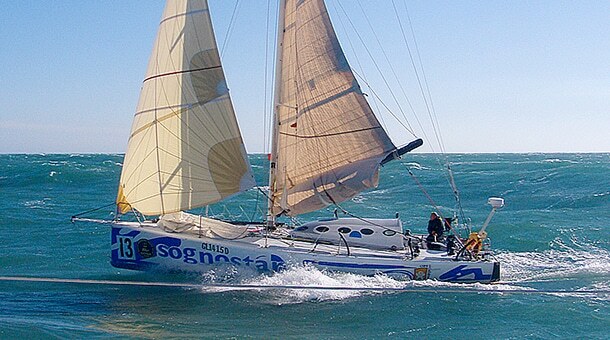 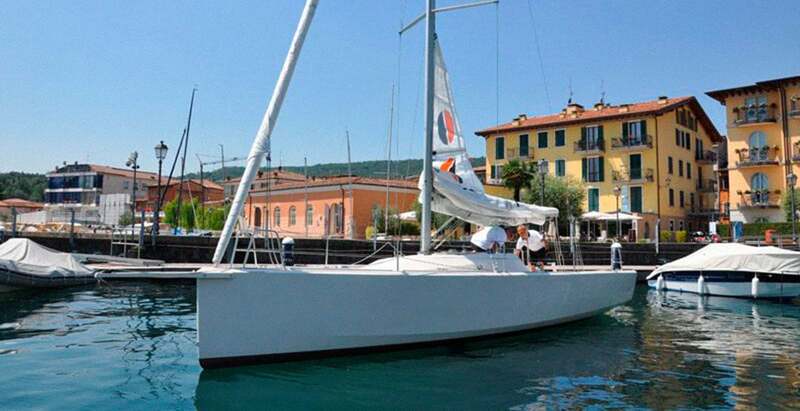 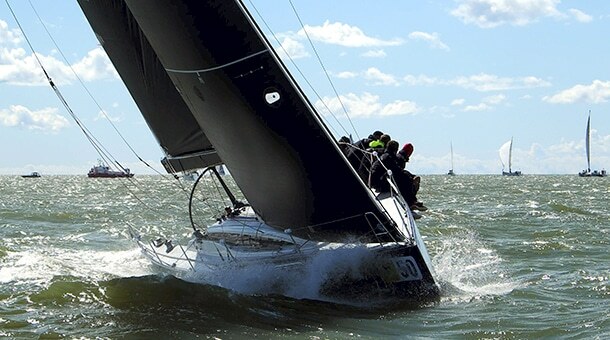 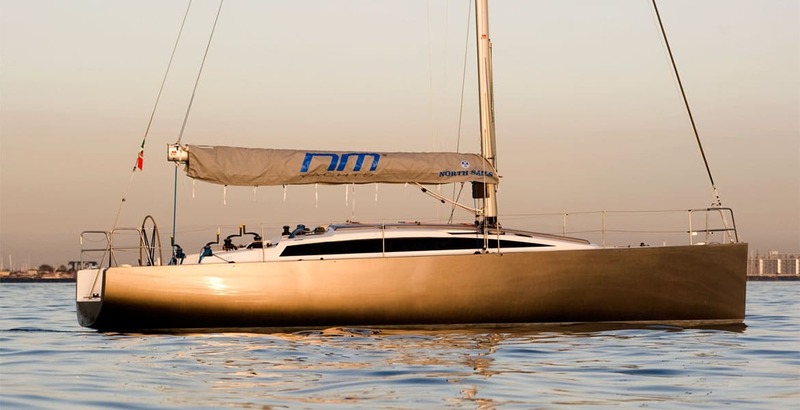 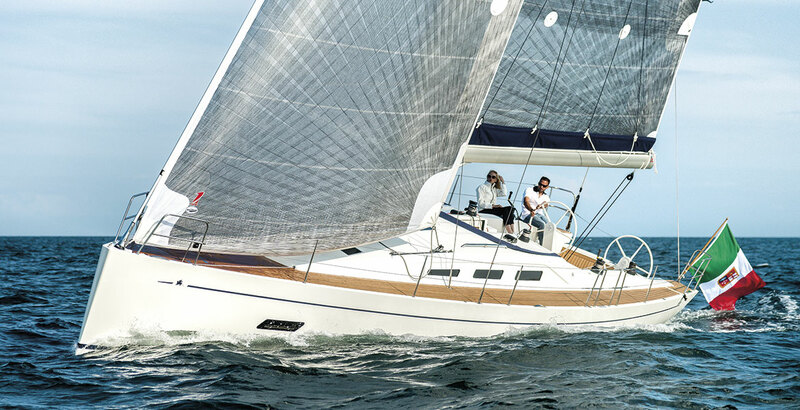 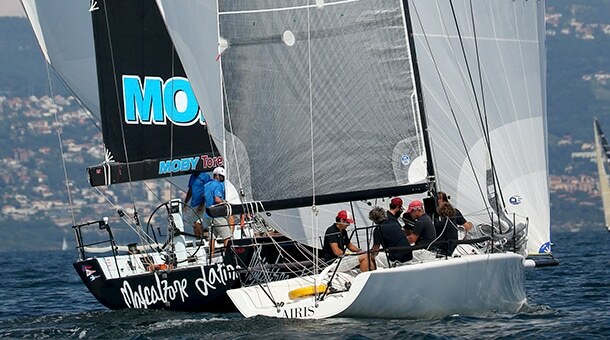 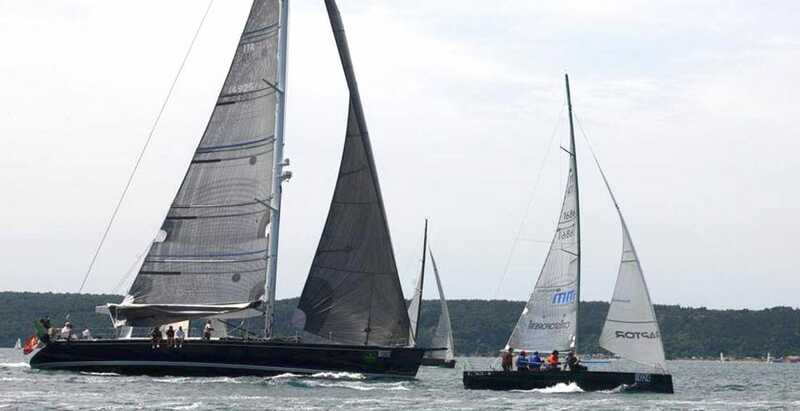 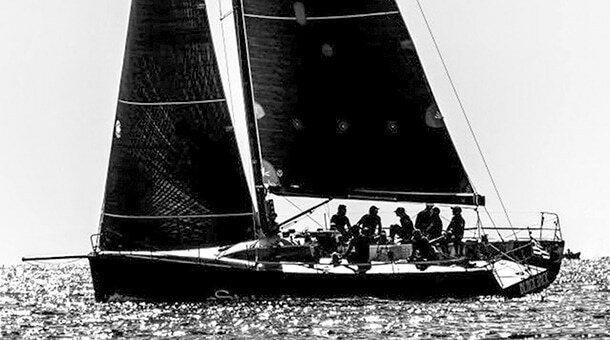 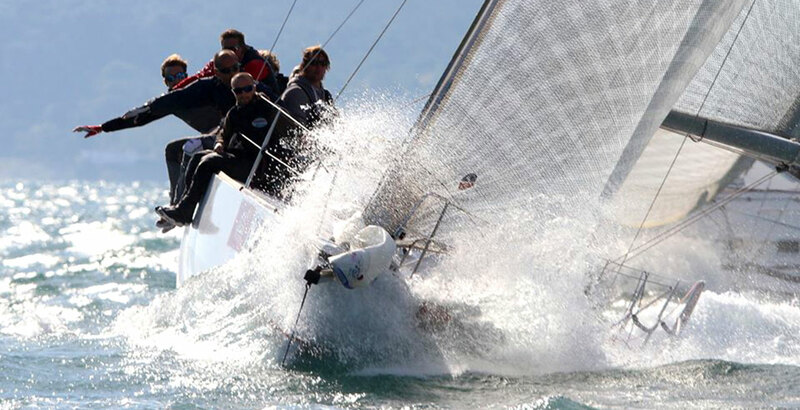 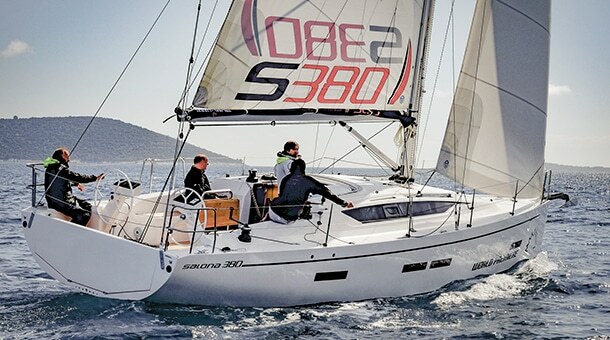 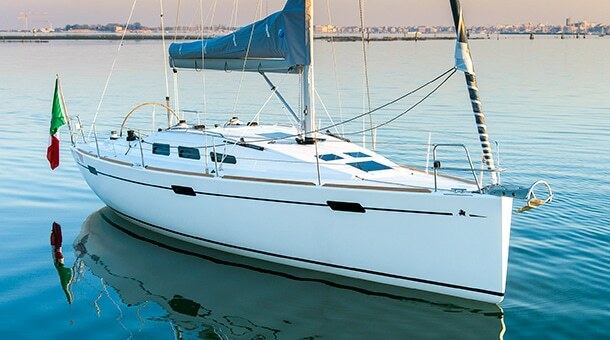 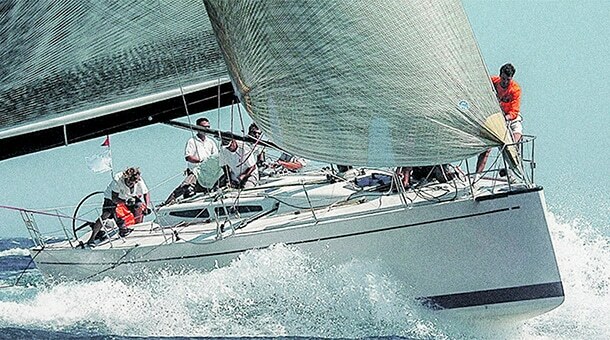 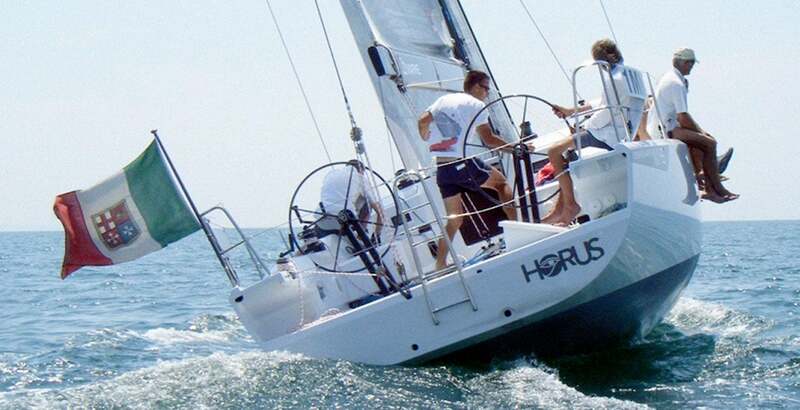 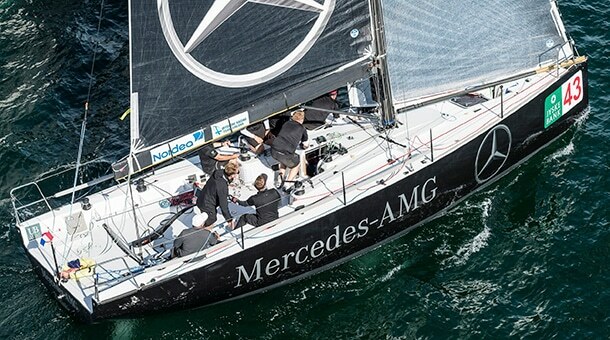 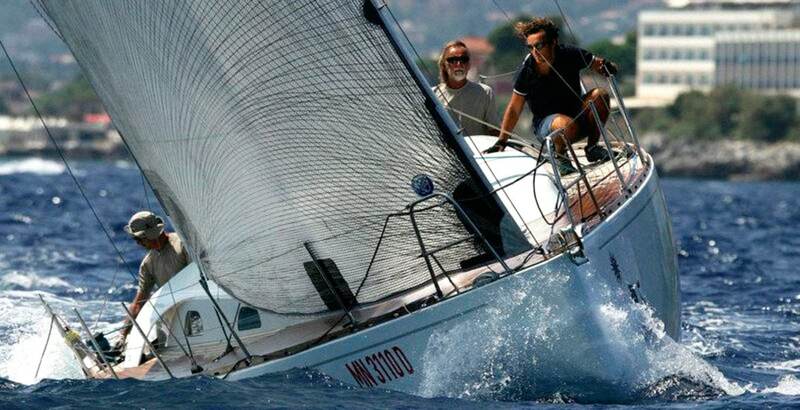 Unlike M37, from the beginning was chosen a high modulus carbon mast with boomerang spreaders, to have more stiffness and control of sail shapes. 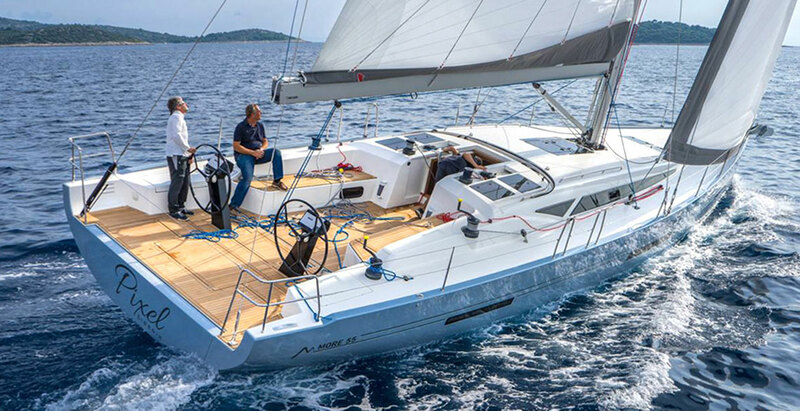 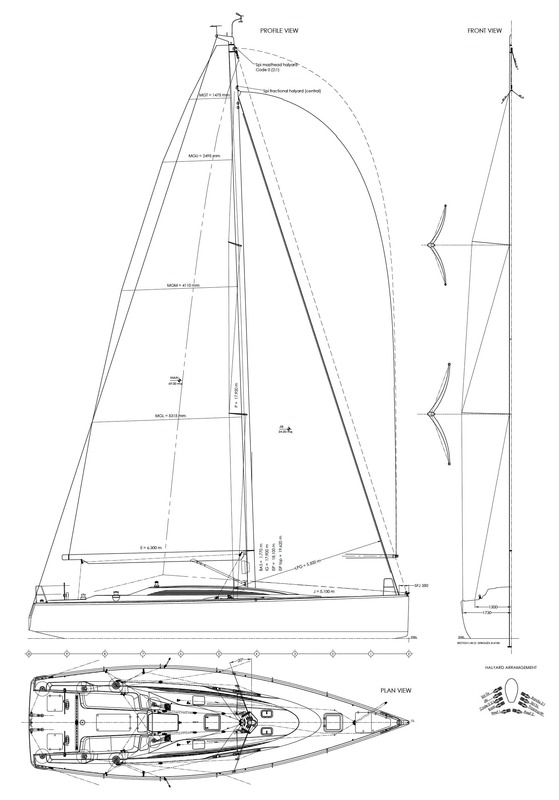 Keel was a completely different concept compared to the predecessor: less rating constraint allowed for a deeper draft, and the need for higher stability to support the big sailplan drove to a T keel design with high strength Weldox fabricated fin and an heavy lead bulb. 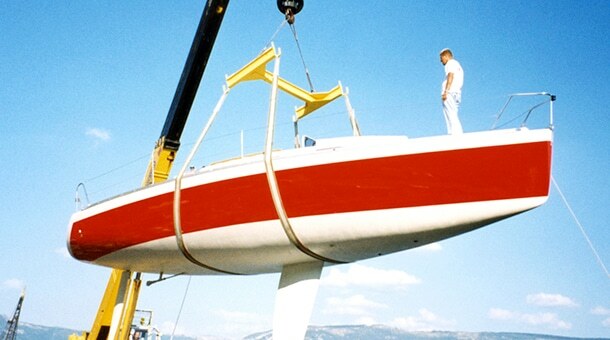 The GRP outer keel fairing was characterized by the still allowed “skeg” at trailing edge. 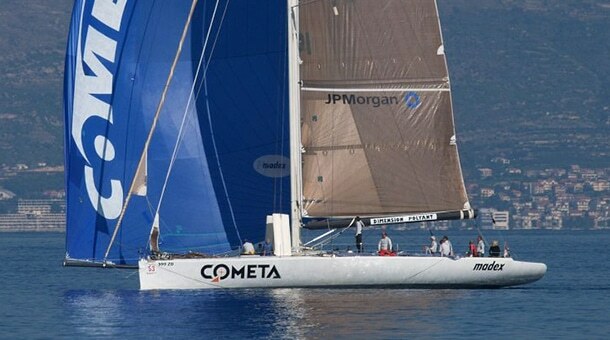 A deep, spade rudder on carbon stock, completed the underwater package.